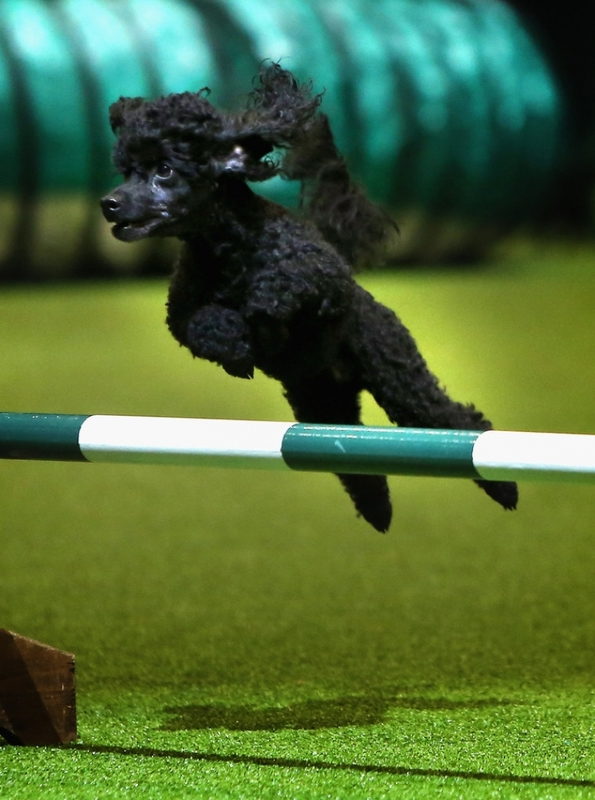 A miniature poodle makes it over a jump in the agility competition during the final day at Crufts Dog Show on March 10, 2013 in Birmingham, England. During this year's four-day competition over 22,000 dogs and their owners will vie for a variety of accolades but ultimately seeking the coveted 'Best In Show'. - high-definition photo for free download.